Hibachi Shrimp & Chicken for Two, only $35Treat yourself to two hibachi shrimp and chicken entrées, served with Benihana onion soup, Benihana salad, hibachi shrimp appetizer, mushrooms, hibachi vegetables, homemade dipping sauces, steamed rice, Japanese hot green tea and Häagen-Dazs ice cream, sherbet or sorbet, all for just $35 (tax and gratuity excluded). Available October 1st through October 31st. 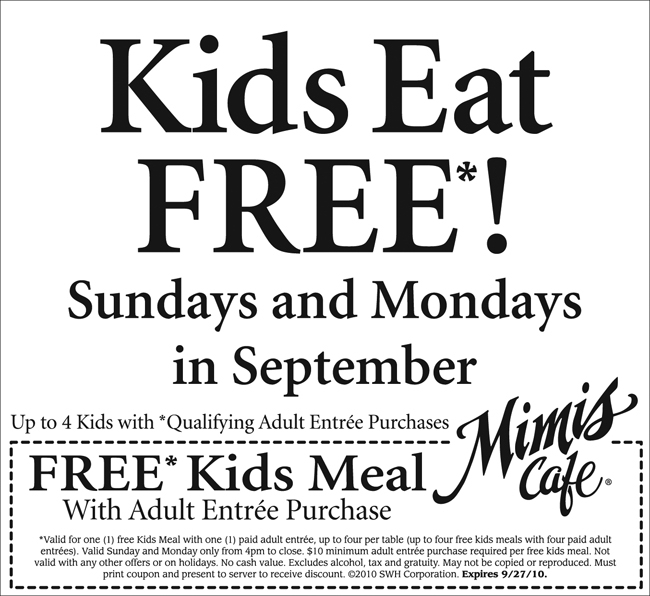 Valid until October 12. Use online or in store. To Redeem In Stores:Print this offer and present it at any U.S. Bath & Body Works Store. 1. Add $10 of merchandise to your shopping bag. 2. Add your free Room Spray or Oil (up to an $8.50 value). Original Tommy'sWe are launching a new weekly promotion called Tommy Tuesdays! Every Tuesday one store will sell one item for 65-cents in honor of Original Tommy's upcoming 65th Anniversary! Go to their facebook page to see which special store will be selected each Tuesday. Get One Dollar Hot Dogs at Johnny Rockets on Mondays with purchase of a beverage. Add a side of fries for a buck as well. Regular price of the hot dogs are $6.00, so this is quite the bargain! The Outdoor Cinema Food Fest is a summer event series dedicated to creating and nurturing a community of entertainment and food enthusiasts in Los Angeles. Click here for more information on the location, cost, time, etc. Introducing new food trucks every week, as well as the food truck super stars, the Outdoor Cinema Food Fest will feature over 60 different food trucks over the eight week series. It’s the ultimate picnic - no basket required! Watch movies on the LARGEST outdoor movie screen on the west coast, standing three stories tall and 52 feet wide.